Once again I’m back with another review for Valken and this time I’m trying out their V-Cam Tango combat shirt. So the Tango combat shirt is a hybrid combat shirt made from both tough ripstop fabric and full camo sublimated breathable moisture wicking fabric. The main body of the combat shirt is made from the camo sports fabric and it has ripstop reinforced shoulders, elbows and forearms. It’s the perfect combination of tough and useful. One thing I cannot stress enough is just how soft the inside of the uniform is thanks to the sports fabric! You can check out my reaction in the unboxing video here! 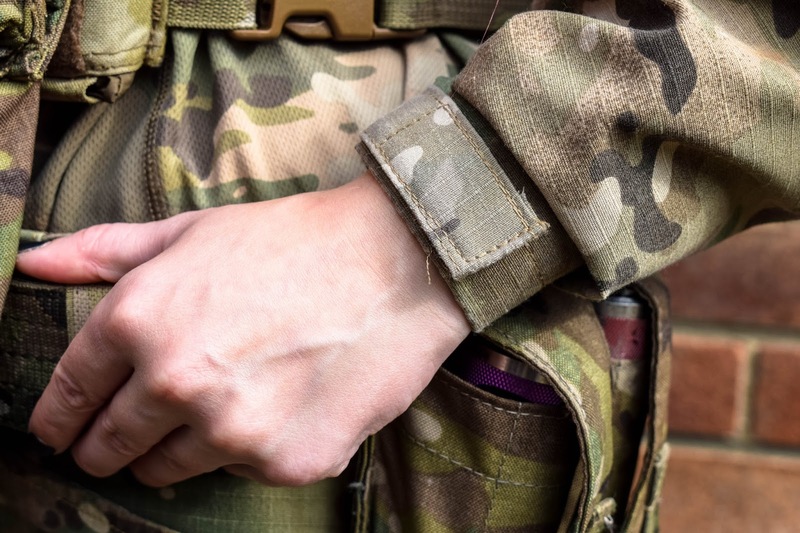 Although the sleeves are ripstop they are lined with the sports fabric meaning the inside of the combat shirt is soft and comfortable to wear under a plate carrier. I am in LOVE with how cosy it is! 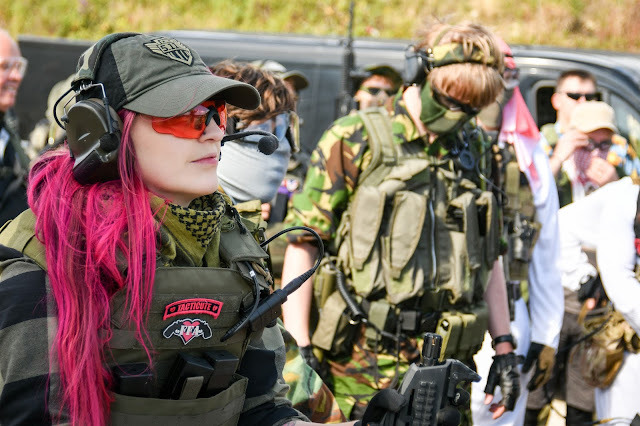 One thing I really like about the Tango combat shirt is the level of protection the shirt offers airsofters - it has integrated articulating elbow pads, built in shoulder padding for vests, harnesses or plate carriers and a zippered high collar, all of which help protect the wearer in game! 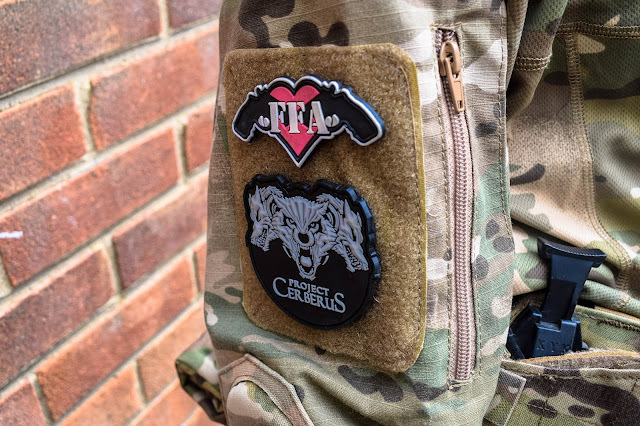 I wore mine for some fast paced, hard hitting CQB and although I could still feel/hear when I had been hit, the padding did take the brunt of the shots (meaning no unsightly welts or bruises on the outsides of my arms, shoulders or neck!). 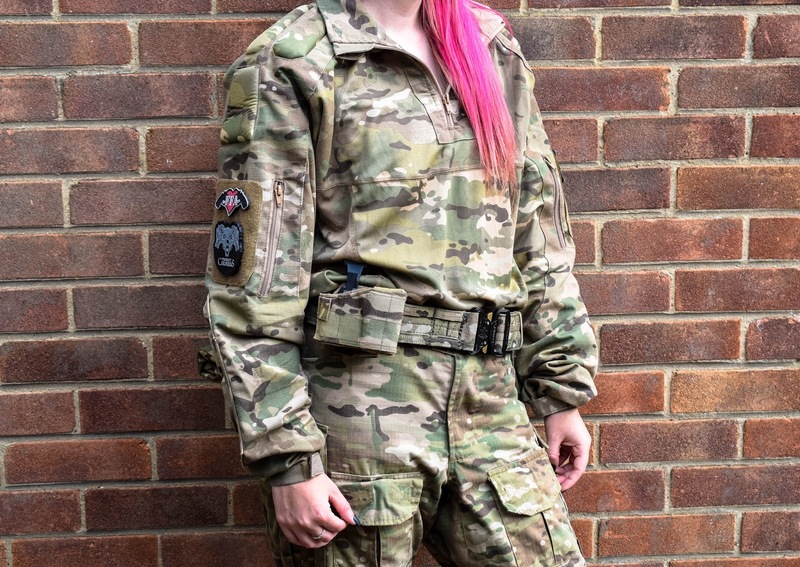 The built in shoulder padding also makes it really comfortable for load bearing kit like plate carriers and belts with harnesses to be worn for an extended period of time. I’m really lucky to have found a plate carrier that fits great and is comfy but the added padding will be a blessing at long ops! As well as offering protection, the shirt also features zippered sleeve pockets on both arms to store useful gubbins and velcro panels for all those tacticool Identification and patches giving you a great mix of protection, usability and aesthetics. Let’s chat about the sizing, I have the shirt in the size medium which admittedly is a little too big on me without any tactical kit, but when I’m wearing my plate carrier it isn’t an issue, saying that however if I were to get another of the Tango Combat Shirts I would go for a size small. The adjustable velcro wrist closures help with fitting and keep your wrists safe from getting shot/scratched up at games. 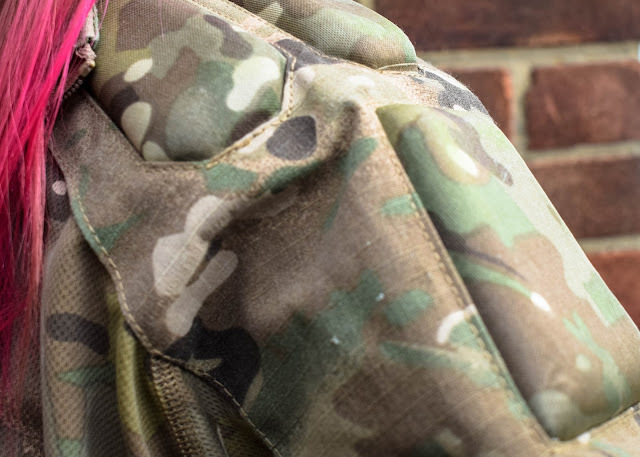 Valken have produced the Tango shirts in sizes small to a 4XL so the size range is really inclusive and varied and it’s available in Woodland, Tiger Stripe and V-CAM camo patterns for added variety. 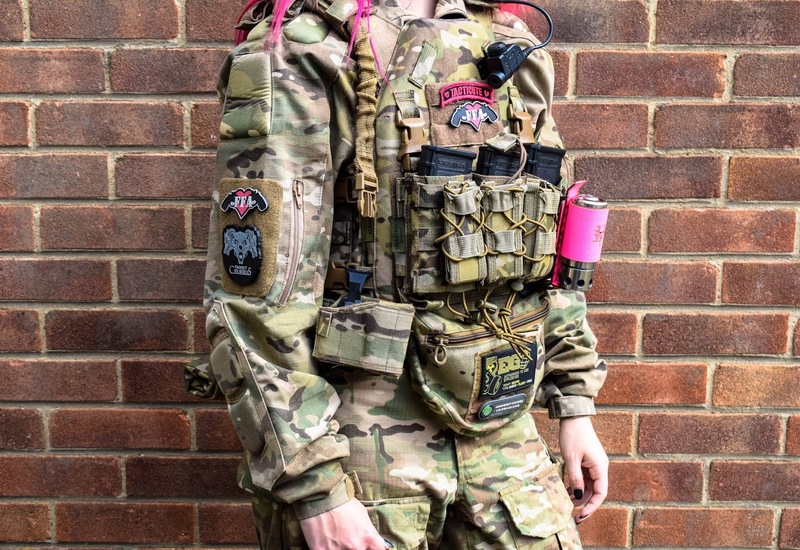 The combat shirt retails for $74.95 directly from Valken (which works out to around £56 at the current exchange rate) For the level of protection and usability the Tango Combat Shirt offers it is, in my opinion good value for money. I really like what Valken have done with the Tango Combat shirt, so it’s definitely FFA approved.